This is the title of a new report. Actually the title is longer than that but I like to be snappy when I can. The publisher adds “Integrating Land Use and Transportation to Reduce GHGs” which you may be sure is right up my alley. Two things before I go further. This report was published on September 27, and I have only just learned of it. I thought I had spent quite a bit of effort making sure that I kept on top of this topic since it is specifically addressing BC. It was not until today that I saw a tweet from Charlie Smith which linked to an article in the Georgia Straight by Carlito Pablo. Secondly, the report was commissioned by The Real Estate Foundation of BC. Now my association with Real Estate in BC had lead me to create a mental link between realtors and the BC Liberals. During the campaign against the expansion of Highway #1 there were credible sources saying that the then Minister of Transport, Kevin Falcon, was holding fundraising breakfasts for the realtors in this region and the Fraser Valley and promising that highway expansion would enable them to continue to build and sell single family homes. 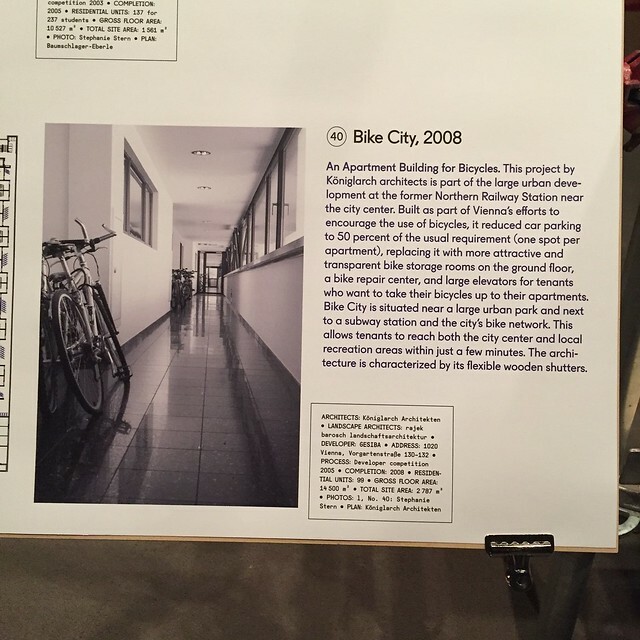 As opposed to the denser forms of development that tended to support transit. The implication being that RS1 supports right wing voters. The other important thing to note is that you do not have to rely on my opinion or that of Carlito Pablo. You can download the full report for yourself from the link above. Bolster regional government authority and integrate transportation planning with land use in ways that support climate action. Strengthen the Agricultural Land Commission’s authority to protect farmland and limit non-agricultural use of protected land. Strengthen coordination amongst key agencies, ministries, and orders of government and support collaboration through the Climate Action Secretariat and the Local-Provincial Green Communities Committee. Use market-based tools to more fairly share the costs of transportation infrastructure and expand transportation choice. Update tax and fee structures to support sustainable financing of civic infrastructure. Help establish a Low Carbon Innovation Centre in the Lower Mainland. Create long-term transportation financing agreements between local, provincial, and federal governments. Update community GHG reduction target requirements and provide provincial support to help meet these requirements. Establish GHG impact assessment standards for local and provincial transportation projects and planning agendas. Reinvest in BC’s Community Energy and Emissions Inventory (CEEI) system to provide defensible transportation sector data. This all looks very promising, and I am going to download it myself before I type anything else. 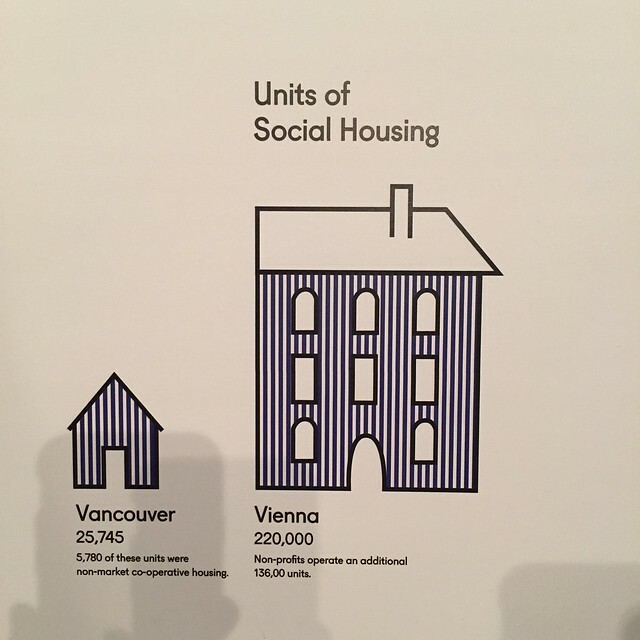 At the Museum of Vancouver in association with Urbanarium, an exhibition about the extensive social housing provision in Vienna, which started with the collapse of the Hapsburg empire after WWI and continues to this day. 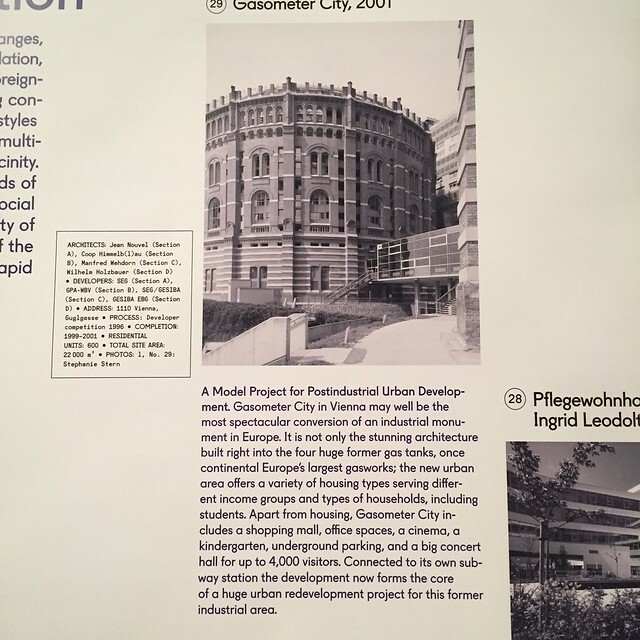 The Vienna Model exhibition, curated by Wolfgang Förster and William Menkins, explores housing in Vienna, Austria, through its portrait of the city’s pathbreaking approach to architecture, urban life, neighborhood revitalization, and the creation of new communities. Vancouver is consistently ranked alongside the Vienna as one of the world’s most livable cities. Vienna has a stable housing market, with 60% of the population living in municipally built, owned, or managed housing. By comparison, Vancouver is undergoing a housing crisis. 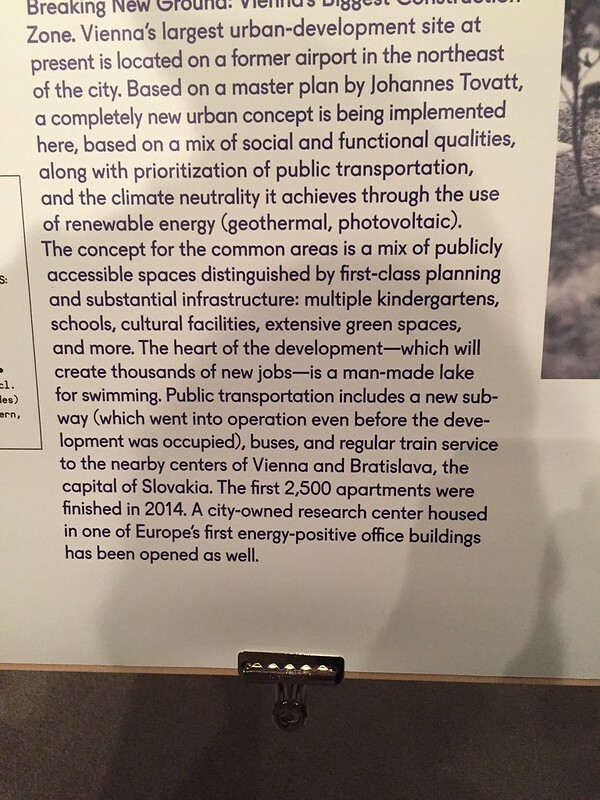 Vienna’s housing history and policies provides alternative approaches for British Columbia. 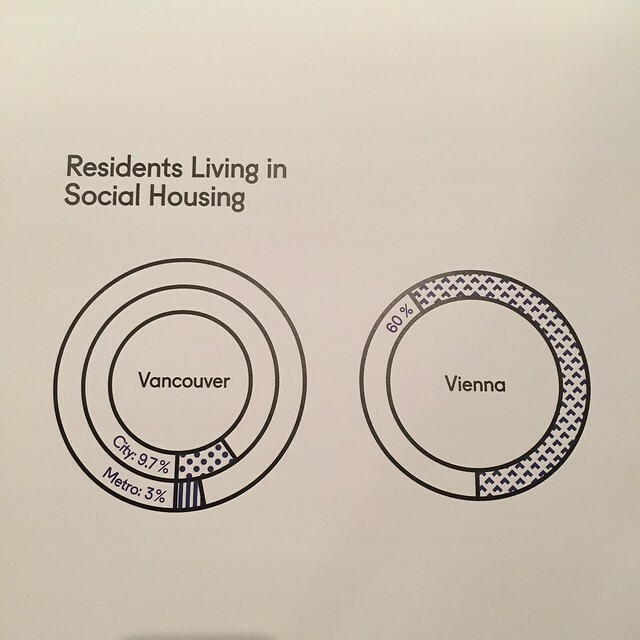 As Vancouver embarks upon a community engagement process revolving around housing, The Vienna Model expands discussion about urban planning options and encourages dialogue and debate on the future of the city. 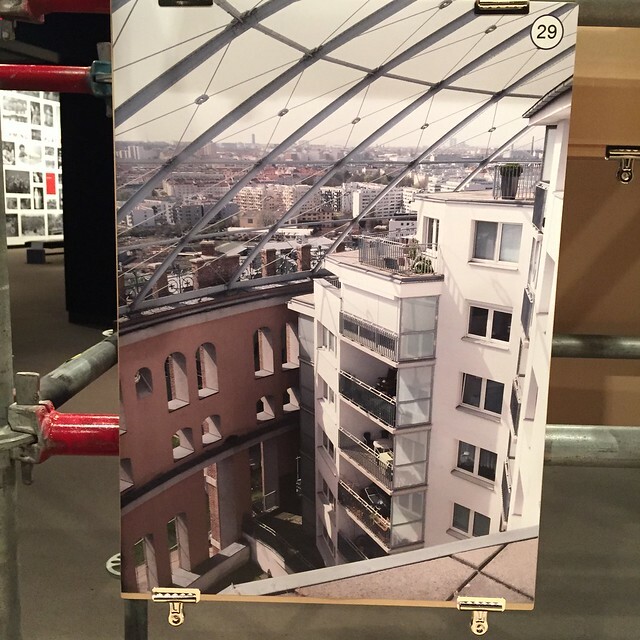 In addition to its investigation of design that is focused on community, Vancouver- and Vienna-based artists and cultural researchers Sabine Bitter and Helmut Weber have selected art projects and public works that reflect Vienna housing into a broader context. These are included in the exhibition and illustrated catalogue. The best transportation plan is a good land use plan and this one does well by putting places that people want to visit close at hand. This obviously reduces car use but apparently they still need underground parking. 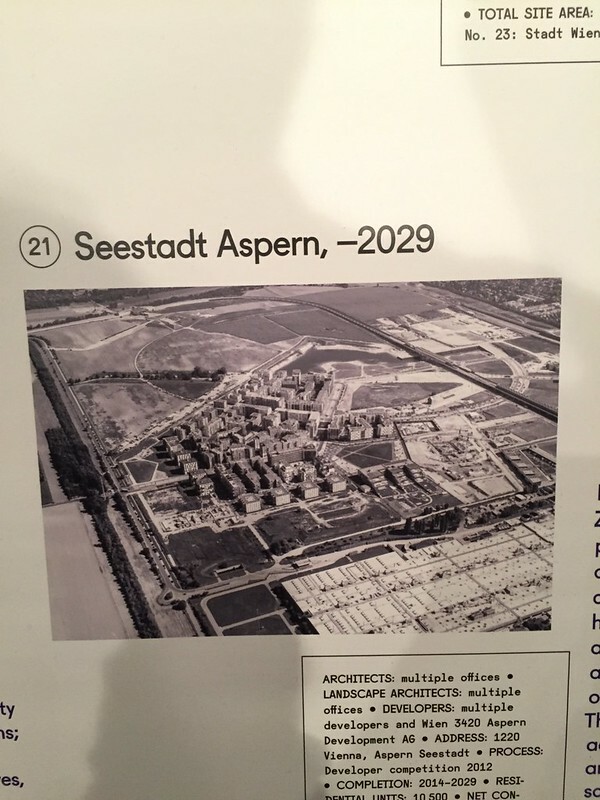 This is about Seestadt Aspern one of the newest developments – I think you can read the bit about public transportation without me copying the text. Let me know if this doesn’t work on your phone. Apparently most people here (93%) favoured the Vienna approach until there was a debate which turned quite a few against it (video). But there was still a 81% favourable! The most frequent mode of discussion in the main stream seems to focus around markets – supply and demand – amid much frustration that simply building more doesn’t affect demand when there is a seemingly limitless amount of money available to buy real estate as an investment (as opposed to somewhere to live). 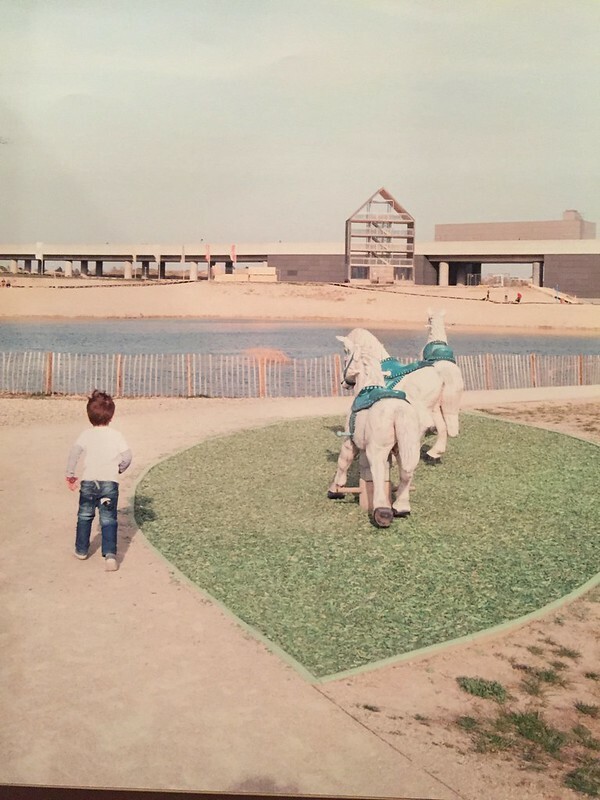 Lost in this is the history of Canada has something of a leader in housing provision – back when we still believed that government can sometimes do things right. Public housing provision does and can make sense. 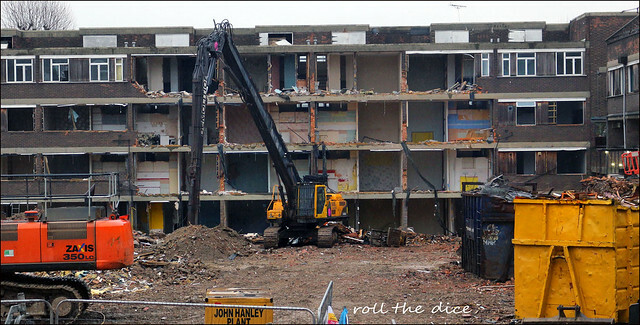 But I do think that having a split between planners who do housing and planners who do transportation will simply repeat the same errors once again – the dangerous “projects” (US), the soulless “council estates” (UK) . So mixed use – not poverty ghettos – and lots of amenities within easy reach – as well as jobs and homes next to each other. 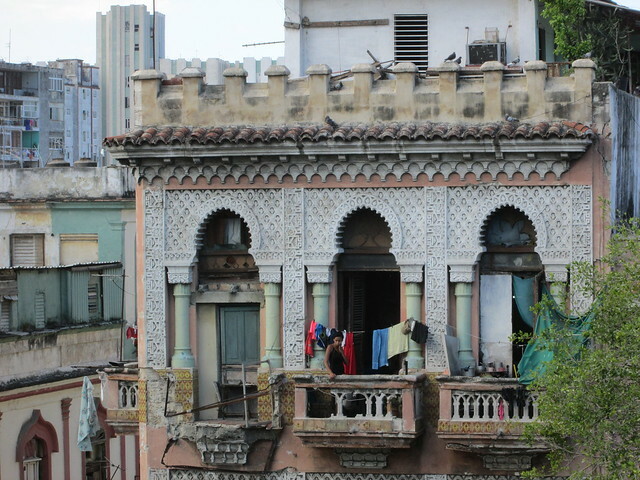 A bit like cities were before planning – but without the health hazards!